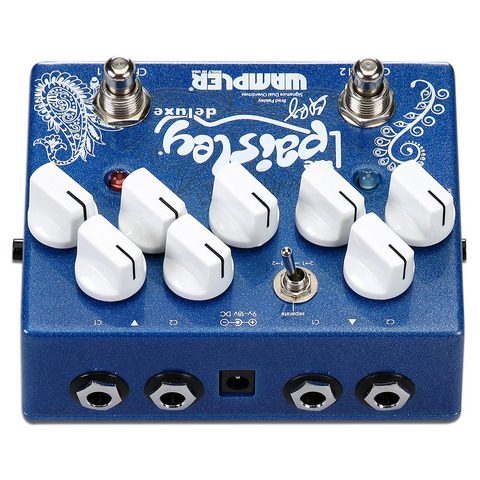 Wampler Pedals and Brad Paisley&apos;s relationship goes way back to Wampler&apos;s long-since-discontinued Underdog Overdrive. 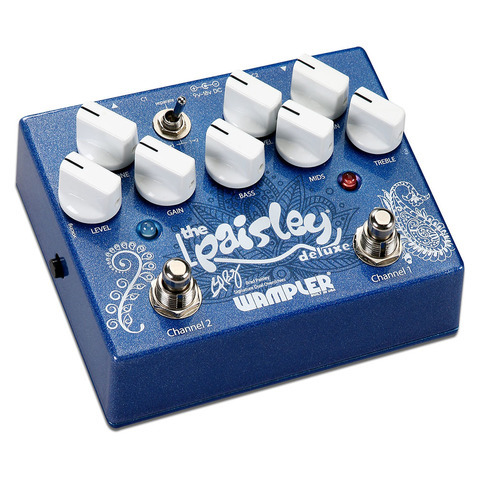 That&apos;s why Wampler is bringing back the Underdog circuit in the great-sounding and flexible Paisley Drive Deluxe. 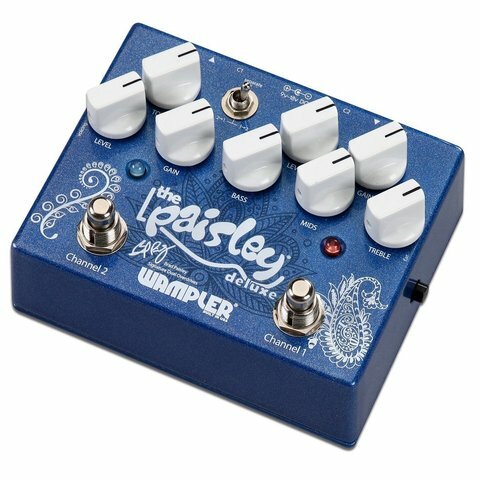 Inside this pedal, you&apos;ll find the Paisley drive you know and love, as well as the Underdog, both individually selectable. 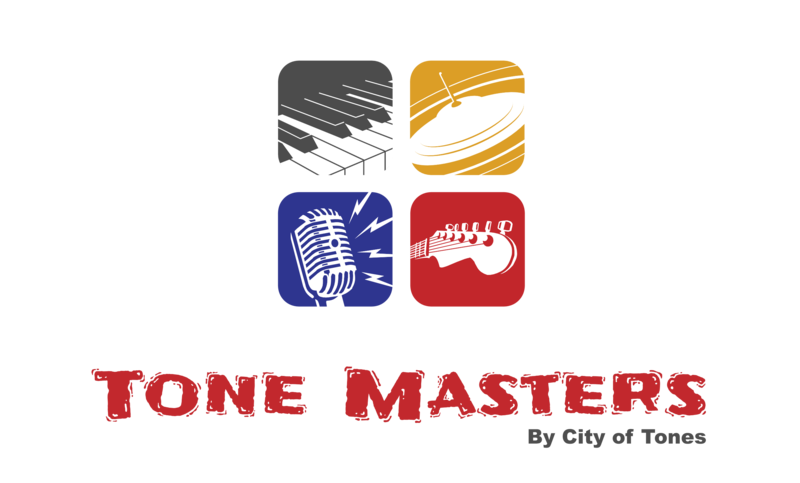 But the real magic comes when you stack the circuits and take advantage of its ground-breaking signal routing possibilities. 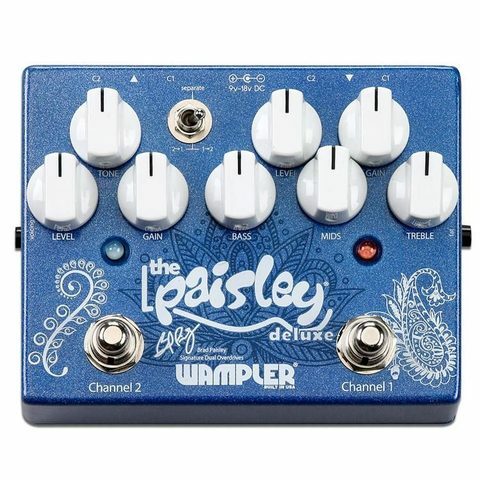 If you want Brad&apos;s tone on your board, the Wampler Paisley Drive Deluxe is the way to get it. 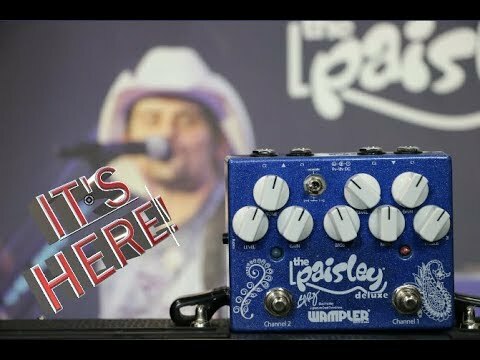 Brad Paisley&apos;s first Wampler addiction was to the Underdog overdrive. Engineered to offer the sound of one of Nashville&apos;s most popular stompboxes, but with way more tonal control, the Underdog quickly found its way to Brad&apos;s board and has been there on and off ever since. Its full 3-band EQ and gain-boosting fat switch ensure everything from transparent grit to a harmonically rich lead tone are effortlessly accessible. Original units of this pedal are hard to find. Grab the Paisley Drive Deluxe from Sweetwater, and you&apos;ll nail the original&apos;s tone and much more. In the design of the Wampler Paisley Drive pedal, Brad Paisley worked with Brian Wampler to meet his tall set of requirements. The Paisley Drive starts off clean but serves up beefy crunch when you lean into it. It puts a bit of hair on your tone and deploys plenty of grind when you need it, delivering beautifully fluid tone when you&apos;re soloing. If you want satisfying, responsive overdrive that sounds like a tube amp while letting the true character of your guitar come through, channel 2 is where you&apos;ll find it. Not only is the Paisley Drive Deluxe a magnificent-sounding overdrive from one of the most respected players in the world, but it boasts a collection of signal-routing options that makes it ideal for any guitar rig. First off, each channel features its own input and output, allowing you to access either channel individually from your pedal switcher-based rig. The channels can also be stacked to add yet another great-sounding drive to your setup. And the onboard stacking order switch lets you choose which circuit is pushing the other.